You can use Visual Studio for all of your web server needs for local development, but it's essential that you familiar yourself with a full blown IIS version. 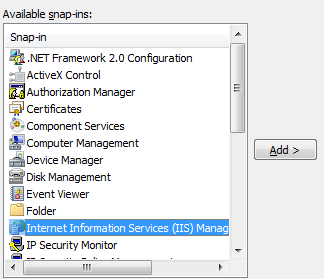 In this tutorial I will show how to install IIS on a Windows 7 machine. 1. Open the "Control Panel"
2. Select "Programs and Features"
4. 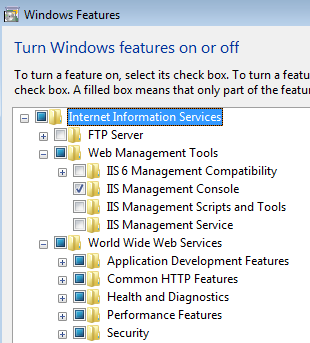 In the "Windows Features" dialog box, select "Internet Information Services" option, then click "OK"
5. To manage the IIS instance on the machine type "mmc" into the start menu then press "Enter", the click "Yes" this will bring up the "Microsoft Management Console"
8. Click "Add", then click "OK"